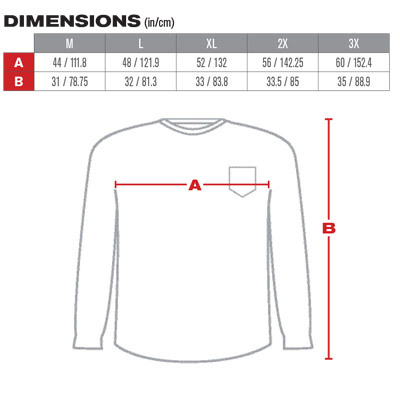 PIP's Light Gray 11 Cal Long Sleeve FR T-Shirt is made of 100% interlock knitted FR cotton and only weighs 6.5 oz. This HRC 2 Rated fire resistant shirt meets strict NFPA standards for safety and is also ARC rated with an ATPV of 11.8 cal/cm2. Ideal for casual wear and can be worn under arc flash suits and coveralls for added protection. Also available in Orange. What Does Flame Resistant Mean? Flame resistant products pass specific ASTM tests that deem the fabric flame resistant. Flame resistant fabrics provide protection against clothing ignition, sustained flame spread and will not melt or drip. The material resists ignition, self-extinguishes and the FR properties last for the wearable life of the shirt.